P.S: Working at Sunway Convention Centre today and tomorrow. Anybody wanna have lunch together? 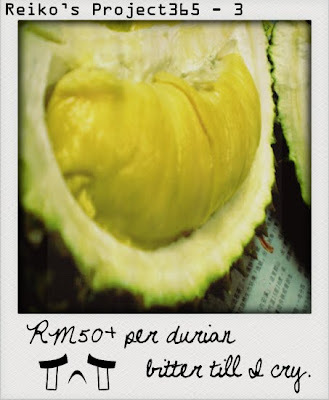 bitter durian? i like it! you go kerja, who jaga xuan xuan? why must u show me durian.. WHYYY tell me WHY sob sob..